ingredients: sip of adventure, one spoon of bargain, wish to stay clean, one cup of patience and touch of culture. I don’t consider myself as a typical tourist, especially when it comes to exploring big cities, I prefer playing by the ear and see going with the flow. Food certainly has the most of my attention. One of my suggestions would be: try to make friends with locals and get some inside tips where to go and what to do. Below you can find my way of exploring the city of Marrakech. I am a true view seeker and Marrakech is just a place to be when it comes to that. It is pretty popular for rooftop bars and restaurants. It’s just a Marrakech thing to enjoy views of the city, have a tea or breakfast and observing the city vibe. There are many places you can choose from. One of the most popular are Cafe de Epices or Nomad. Even though I do want you to experience stuff that are not so well known within tourists, I cannot avoid the fact that you need to visit medina. This was my fav thing to do! Just to walk around and feel the city vibe. Old part of Marrakech is completely different than other parts. You have a feeling that the time has stopped. 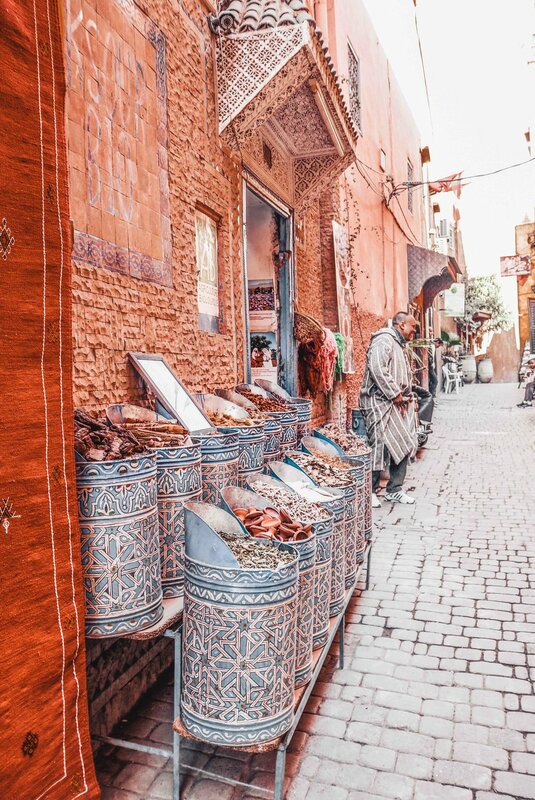 Spices, rugs, lamps, fresh juices on the street, sound of mosque, henna tattoo artists, mixed scents give you the true feeling of Marrakech. There are many entries to medina. Those were made through the history. Marrakech was the centre of trading back in the days, access to the main part of the city was made easier for merchants. Locals can be pushy sometimes and if you are not interested just ignore them and walk away, they will try to sell you anything possible. Arabic world is known for their culture of bargainers on every corner trying to rip you off. So be careful! Whatever you find in Marrakech, you can find it cheaper in almost any other city. While exploring this part, you will find a lot of food places. Let’s define the word souk first, it means market in Arabic. Usually it is made from a lot of different allies. 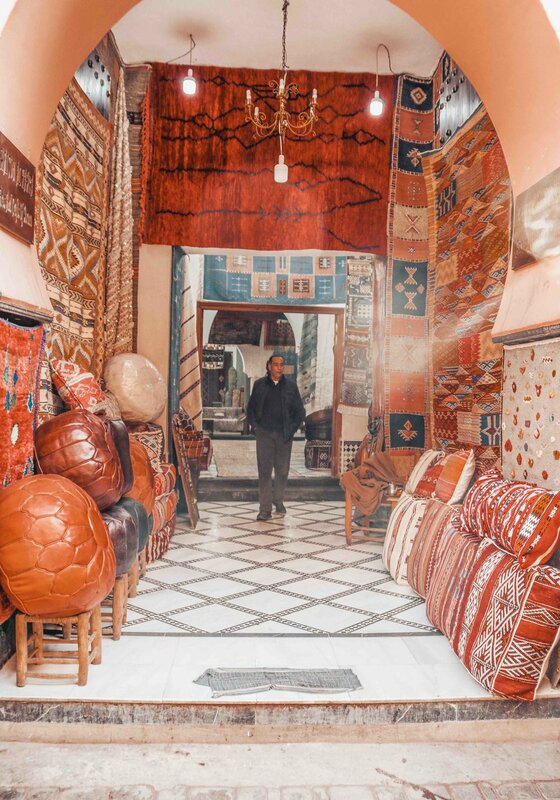 The souks in Marrakech are the heart of the medina and a must-see when you’re visiting the city. Even if you’re not into shopping, it is worth of the experience. You can find all the crazy stuff over there, including snails, turtles.. Prepare for all of your senses to be overwhelmed at once. There’s the smell of spices and motorbikes fumes. 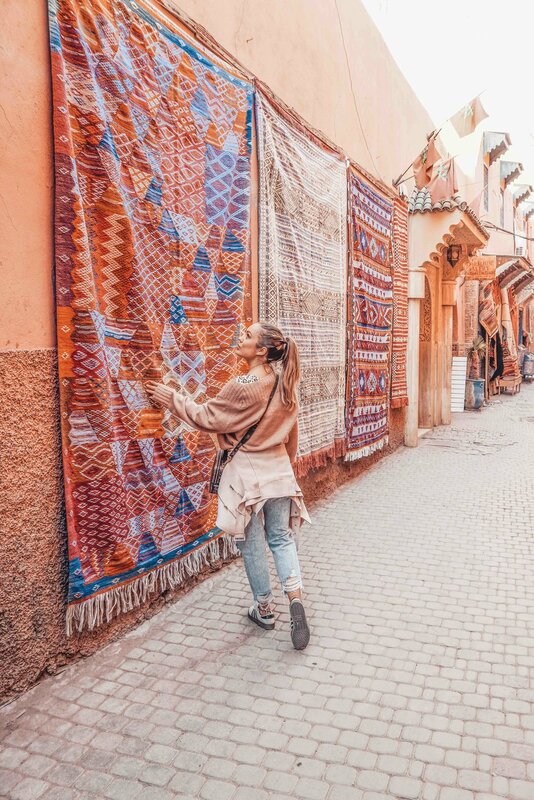 Be ready to get lost, a labyrinth of narrow alleyways that twist and turn their way north of the main square will have you totally disorientated. Bargaining is a big part of the souk experience but make sure you stay polite. Start negotiation by splitting the first offer in half. Probably they will start laughing at you but don’t get confused, go from there and then you will set the price somewhere in the middle. Also known as the Turkish hamam or Turkish bath, is the Middle Eastern variant of a steam bath, which can be similar as a wet , steamy version of the sauna. Although the first hammams come from Arabia, and bath culture was a central part of Roman life, Turkey popularised the tradition of hammam. When coming to hammam be prepared to be separated based on gender. A Moroccan hammam is usually a series of rooms going from hot to cool. You progress in stages through the rooms being washed with black olive soap and having hair treatments and being exfoliated with a rough glove. I have visited Four Seasons Hammam and I must say I loved it! Very peaceful, relaxing with a beautiful garden to relax. You don’t need to bring anything within you, only yourself :D I never felt more clean to be honest (laughing). It is A must experience in Morocco! As I wrote earlier I am a foodie person and I always want to try and experience typical traditional food of the country I am visiting. My best experience was on the main square JAMAA EL FNA of medina which becomes very much alive by night and turns into a food court. You can find locals with monkeys, snakes, music, henna tattoo artists, fresh juices - it feels like a different city. Right there in the middle of the main square, you can find a lot of tents serving traditional Moroccan food. Atmosphere is phenomenal, it’s packed with people, the smell of traditional cuisine is incredibly inviting your taste buds. Don’t expect anything fancy it’s very casual back in time Moroccan experience. Tagine: Cooked in a clay pot, which is also called a tagine, the dish can contain an assortment of vegetables, meat, poultry, and seafood. Harira: a tomato-based soup laden with lentils and chickpeas. Rice or fine broken noodles can be added. B’stilla: sweet or savoury, I loved those. It is like a pie stuffed with filling, Chicken bastilla is maybe the most popular one. But there are many varieties. Mint tea: at the end everything comes to mint tea. Breakfast, dinner, lunch or maybe just a welcoming gesture. If you are thinking a bit of a fancy version to enjoy Moroccan food I can say Le Salama really fulfilled my expectations. You can have a great food with a great interior and stunning view on the city. With the perfectly arranged 3 floored, dining rooms, and the terrace Sky Bar with daily Happy Hour in the Marrakech Medina, Salama restaurant is ideal for a sit down elegant dinner, a party night on the Sky Bar or a drink with Shisha to watch the sunset. One of those spots is a must to get the cultural insights. Find a RiadRiad (Riad : also spelled Riyad or Riyadh, Arabic: رياض‎, pronounced [riːˈɑːdˤ]) is a masculine Arabic word, meaning "meadows", "gardens"" -the meaning of the word has become muddled: a townhouse with rooms around a courtyard is a dar; to be a riad, the house must have a garden, ideally divided into quarters with a central fountain) . You can check my choices, where have I enjoyed my time in Marrakech. Well that’s it people, if you find out something better, please share so I can add it next time into my experience.